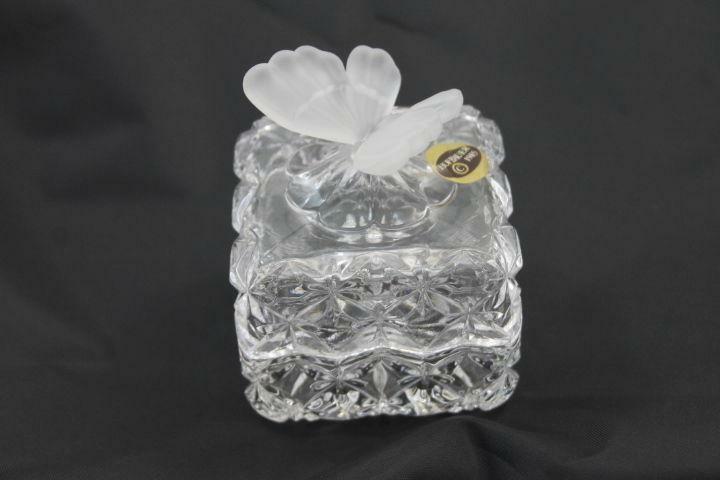 Lovely square lead crystal trinket box with lid. 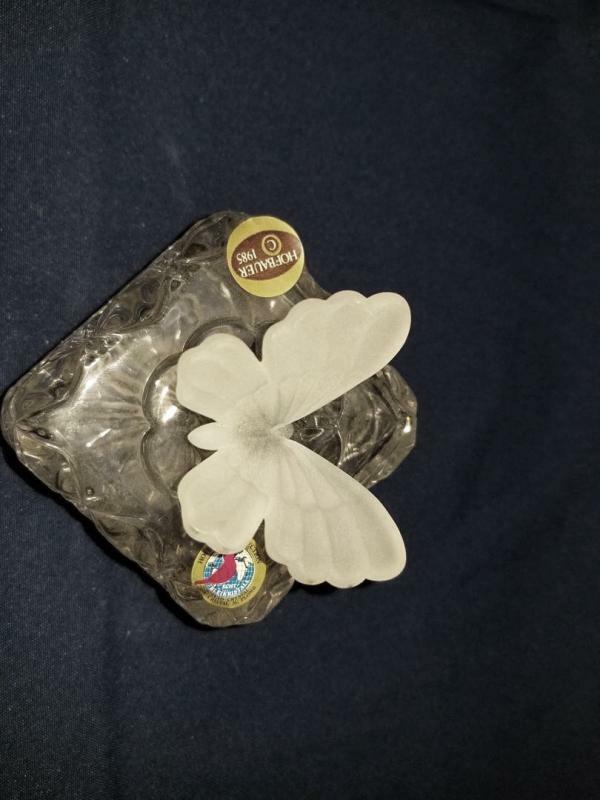 Features a 3 dimensional frosted butterfly on the lid. 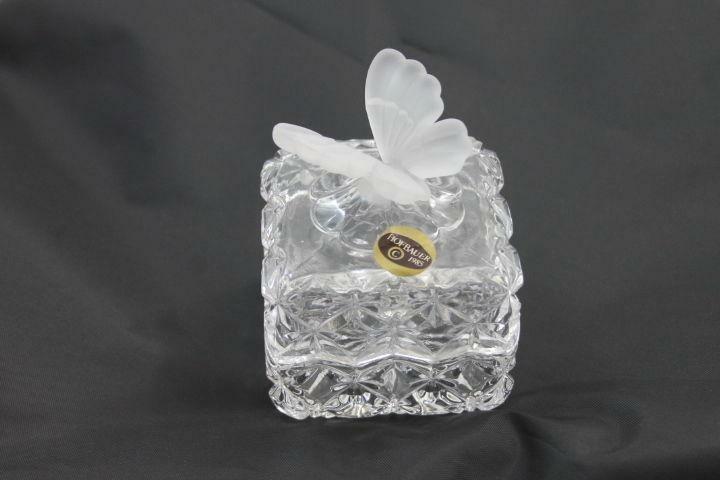 Measures approximately 3" x 3" x 2.5" (3.75" to top of butterfly). Includes 2 original paper labels. The last picture did not turn out so well but it shows the other label beside the gold back foil one. .